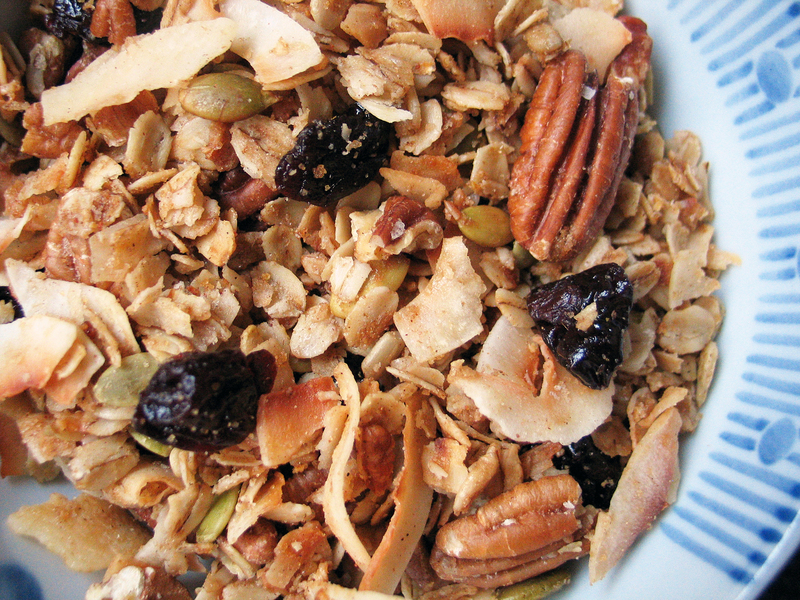 The granola recipes just keep coming…change is great! I found this beauty in Melissa Clark’s book, ‘Cook This Now’, and we’re all quite endeared to the double coconut (and pecans!) – enjoy! Preheat the oven to 300 and line a large baking sheet with parchment. In a large bowl, stir together all 8 dry ingredients (everything but the coconut oil and maple syrup), until well combined. Stir in the oil and syrup and spread the mix evenly out onto your prepared baking sheet. 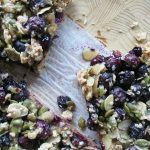 The baking time that works for me is bake for 20 minutes, stir, bake for 15, stir, bake for 10, take the granola out, stir in the cherries and then randomly give it a stir as it cools. Allow it all to cool completely on the baking sheet and then store as you would for all of those tasty breakfasts that you have to look forward to.